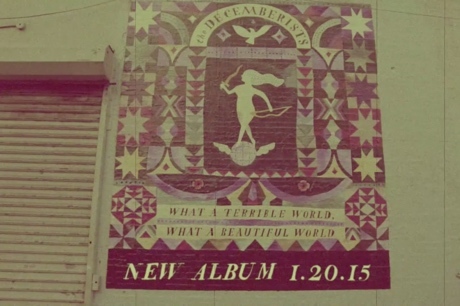 Long-running folk-pop brigade the Decemberists recently announced the arrival of their forthcoming record What a Terrible World, What a Beautiful World by busking in the streets of New York. To deliver the album's lead single, however, they've embraced a more modern approach and are streaming "Make You Better" through Spotify. We previously heard a snippet of the song in the trailer for the upcoming album, but now the full-length single is available to hear. The new LP is scheduled to arrive on January 20 via Capitol Records, but for now, you can listen to the new, full version of "Make You Better" below.